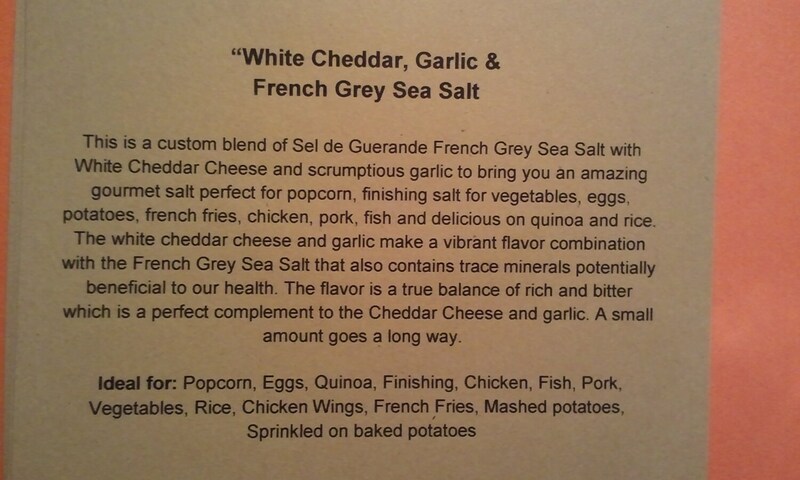 This is a custom blend of Sel de Guerande French Grey Sea Salt with White Cheddar Cheese and scrumptious garlic to bring you an amazing gourmet salt perfect for popcorn, finishing salt for vegetables, eggs, potatoes, french fries, chicken, pork, fish and delicious on quinoa and rice. 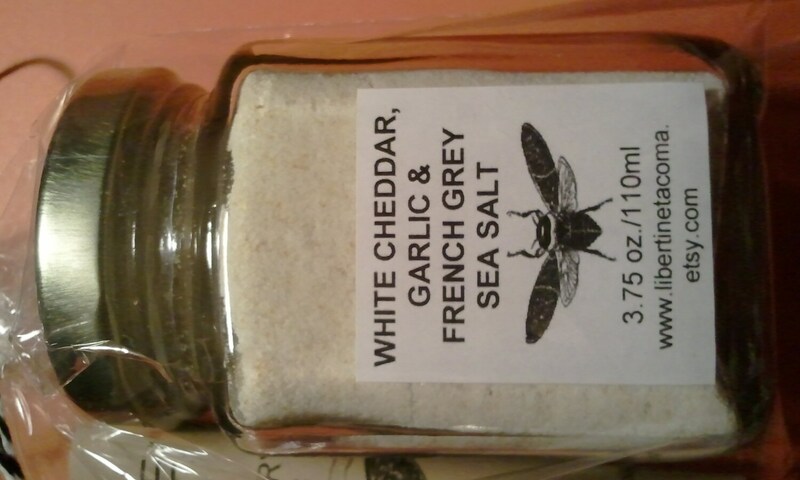 The white cheddar cheese and garlic make a vibrant flavor combination with the French Grey Sea Salt that also contains trace minerals potentially beneficial to our health. The flavor is a true balance of rich and bitter which is a perfect complement to the Cheddar Cheese and garlic. A small amount goes a long way. Ideal for: Popcorn, Eggs, Quinoa, Finishing, Chicken, Fish, Pork, Vegetables, Rice, Chicken Wings, French Fries, Mashed potatoes, Sprinkled on baked potato.